To read the variables and change the parameters that are in the model, you can use HANtune. HANtune is a PC program that reads signals (variables) and writes parameters (constants) from/to the board. By reading these signals, you can see if the software is working correctly and the parameters can be changed to tune the algorithm. To use HANtune over USB a virtual COM port is used to connect to the STM32 Olimexino. 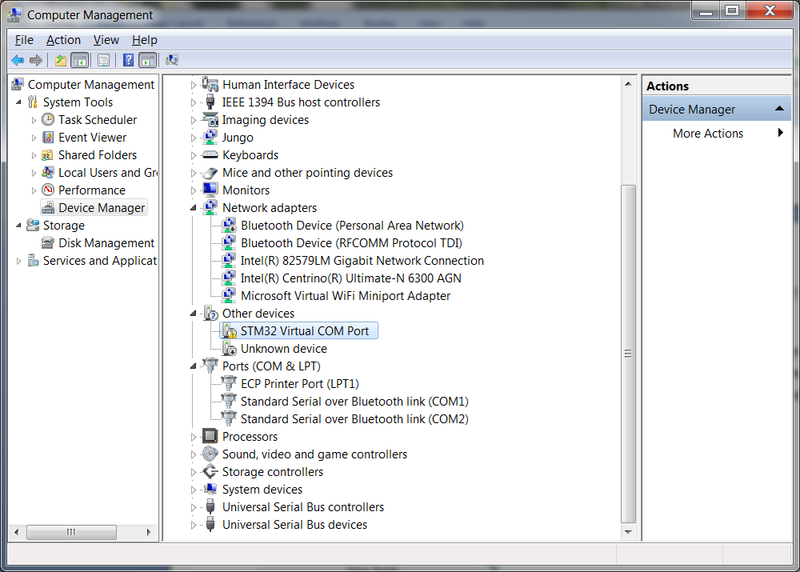 When the Olimexino is connected the device manager will show it as STM32 Virtual COM port. This is not the right driver, unfortunately another driver has to be installed, hang on this is the last step. Please remember the COM port which has been assigned to it. Note: When the Olimexino has just started up and is still in bootload mode it will show up in the device manager as WinUSB Bulk Device. 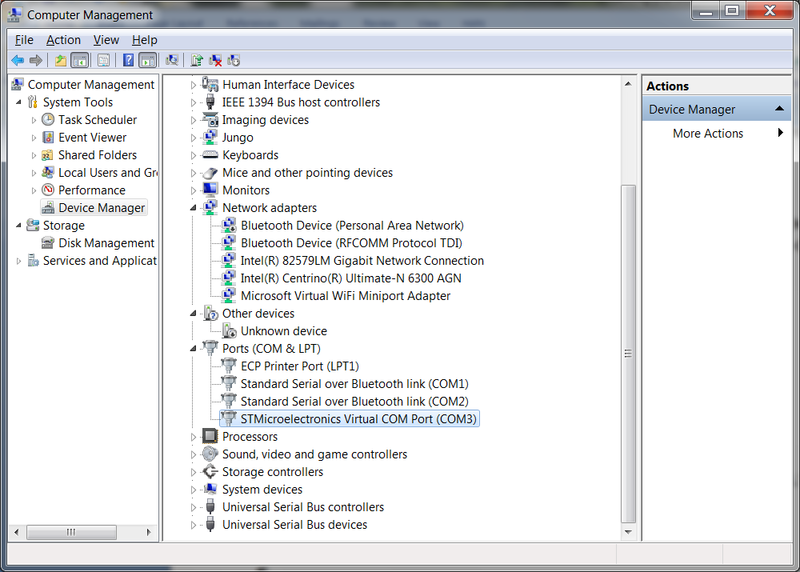 After 2 seconds the program will be started and if the ‘XCP over USB’ block is present in the model it will show up as STMicroelectronics Virtual COM Port. This finishes the steps to be taken to work with HANcoder, please check the Using HANtune page to learn how to work with HANtune.